It’s inevitable that over time your carpets get worn and dirty with use. Even light traffic areas suffer after a few years and eventually what’s under your feet begin to look tired and jaded. One option when that happens is to hire a carpet cleaning machine that will breathe a bit of life into the carpets around your house. But that means finding a supplier, driving to collect the machine, buying the chemicals to go with it, cleaning the carpets yourself and then getting the equipment back to the retailer. And the fact is that not only is this option expensive, the carpet cleaners available on the High Street usually aren’t good enough to do the best possible job and remove the toughest stains. A second, better option is to hire a professional carpet cleaning company with the expertise and equipment needed to get your carpets back to looking their best. 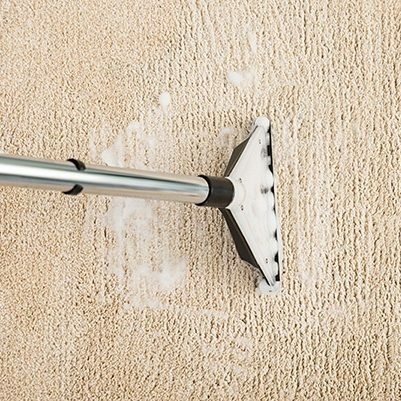 Whatever the quality, size, shape, textile, value or type of floor coverings you have, London Carpet Cleaners are experts when it comes to cleaning them. And the good news is that we’re also specialists at cleaning fabric and leather upholstery and soft furnishings – so if desired we can help everything in your rooms to look and feel their very best. Do you want refreshed carpets and upholstery that look and feel more comfortable than ever before? Then you have come to the right place! Assigning experienced London carpet cleaners at the client’s convenience. As often as the client would like. At affordable and competitive carpet cleaning prices. Whether it’s a one-off visit or cleaning regularly during the year, at London Carpet Cleaners we’re as flexible as you need us to be and our eco-friendly approach to our work means we don’t use any hazardous products, so children and pets are never at risk. With prices that can be tailored to meet any budget, having beautiful looking carpets, upholstery and soft furnishings is rarely out of your financial reach – and we’ll customise our service to meet individual and specific requirements, meaning you’ll get the job you want at the price we quote. Guaranteed. How’s that for instant peace of mind? Whether it’s freshening up the carpets, sofas and curtains in your home, preparing for a house sale or adding some pizzazz to the rugs in your commercial property, you can rely on the well-trained professionals used by London Carpet Cleaners to provide a friendly, flexible and efficient service at a price you’ll love. And if you’re responsible for a commercial property, we can offer you an evening or weekend cleaning schedule that means having great-looking carpets won’t disrupt your business. And if you don’t have carpets? Well, we’ve still got you covered with our expert hard flooring service which includes all natural and manufactured flooring, including terrazzo, marble, wood, laminate and tiling. Are you looking for the most professional carpet cleaning services in London? London Carpet Cleaners are dedicated to providing our clients with top quality standard of carpet cleaning and upholstery cleaning that exceeds expectations. By working with fully-qualified and highly experienced London-based carpet cleaners, we can offer a reliable, flexible, efficient and competitively-priced service built on years of experience working across London within the M25. Every carpet cleaner we work with is thoroughly vetted, insured and trained in carpet and upholstery cleaning, mattress, rug and curtain cleaning by leading specialists in the industry, such as PROCHEM. Our carpet cleaners offer services for a wide variety of sectors from hotels, pubs, homes and offices to student campuses, restaurants and hospitals. We are open seven days of the week. Need a cleaning service on short notice? We are happy to help! Contact us on 020 3819 5743 and our courteous staff will walk you through our services. We use cutting edge specialist equipment and market leading branded products – and our experienced technicians and cleaners are experts in all methods of cleaning, from straightforward shampooing through to dry cleaning and steam-cleaning (hot water extraction). 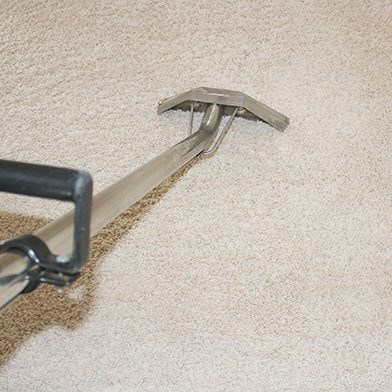 Our dry carpet cleaning methods are specifically designed to keep moisture levels at a minimum. This makes the service ideal for clients who need fragile carpets cleaned. In an addition our experts only use eco-friendly cleaning solutions to dry clean. And the best part is that your carpets will be dry and ready for use immediately after they are cleaned. One of our dry cleaning methods incorporates the use of absorbent powder that is allowed to dry and sucked out by a vacuum. If you are concerned about the health of your pets or children, don’t be. All of the products that are used are eco-friendly and perfectly safe. You can trust us to provide you the best service. Our reputation in the communities that we serve is second to none. It doesn’t matter how soiled they are. Whether your carpets are made from natural fibres or synthetic, we will apply all of our expertise to make them look as good as when you first purchased them. 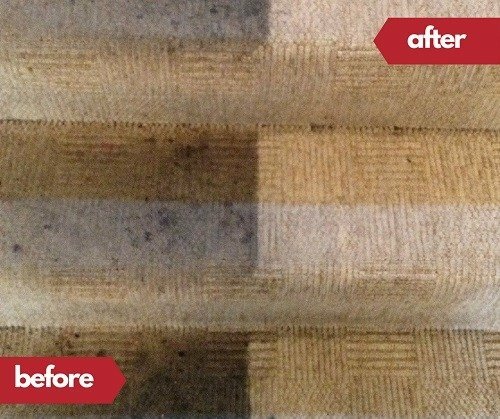 Ready to breathe new life into your old carpets? Give us a call 020 3819 5743 and see how we can help you to transform your home and give your carpets that almost-new look. You can also book our services online. "Dear London Carpet Cleaners, The carpet cleaning service was great - the carpets look a million times better!"